The New Omni tower has returned in front of the Historic Landmarks Commission for a second Design Advice Request hearing. The 13 story building by Ankrom Moisan Architects would include 135 residential units, over ground floor retail and mechanical parking. The project is being developed by Chad Rennaker’s Palindrome Communities. Rennaker is also behind the adjacent PINTS brewery. 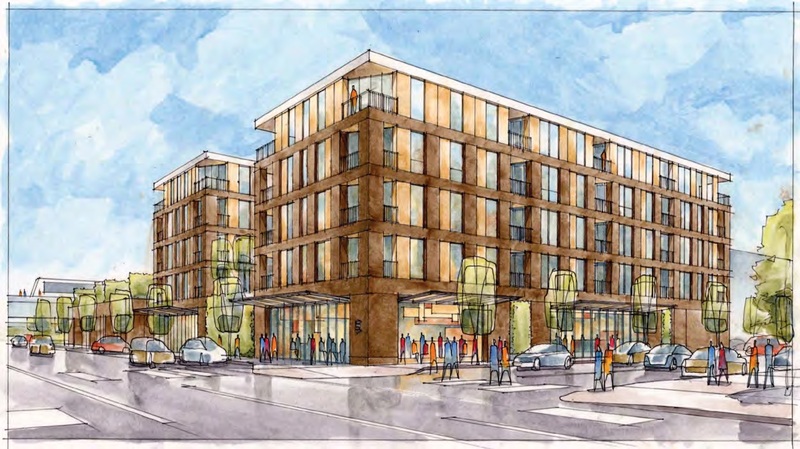 Should the project move forward it could be the first Central City building to be build with inclusionary housing units, with 10% of the units affordable to those earning 60% of Area Median Family Income or less. 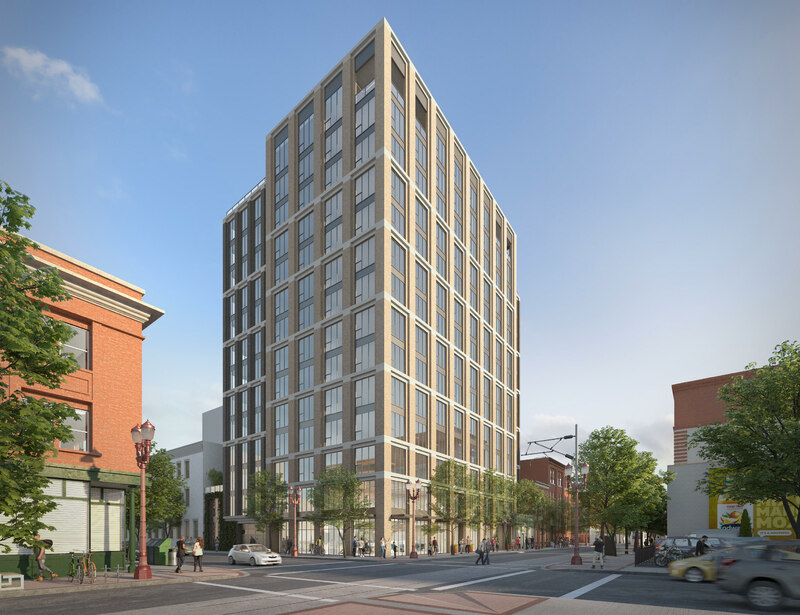 The Historic Landmarks Commission has offered Design Advice on the New Omni Building, a proposed mixed tower in Old Town / Chinatown. 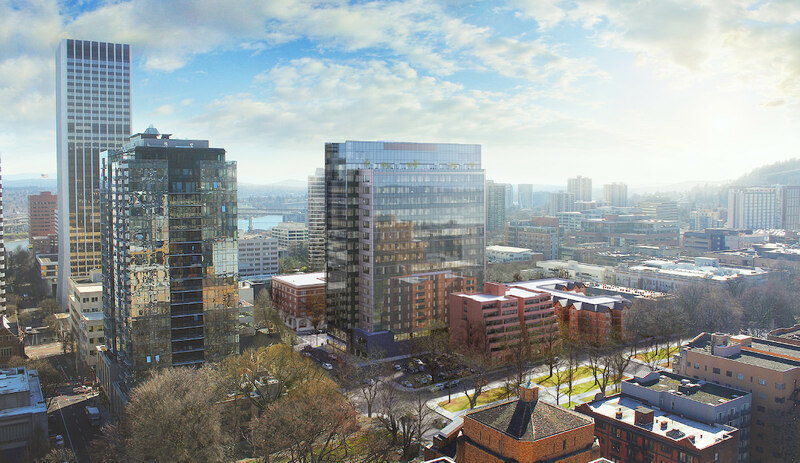 The 15 story building by Ankrom Moisan Architects for Palindrome Communities would include 138 residential units, over ground floor retail and below grade parking. 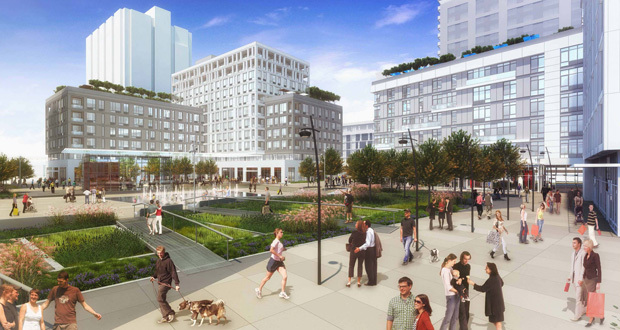 The project would be required to comply with the city’s inclusionary housing policies, with affordable housing units provided on-site or nearby, or a fee in lieu paid.